FAQ – Yes International, Inc.
Are there any fees other then what I pay directly for the document? No, we have no hidden fees. We charge only for the work done with your EDGAR documents, no additional fees for changes or corrections on the original filings. What are your filing prices? Do you accept other EDGAR files not listed above? Yes, we accept all SEC EDGAR documents. Where should I send my EDGAR forms? Please send all documents to yes@yesinternational.com. You may also fax additional documents to our office if needed. Do I need to make an appointment for EDGAR service? 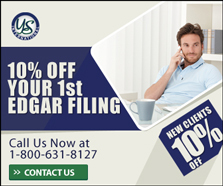 You do not need to make an appointment for most EDGAR filings, however, if you have an immediate deadline, or a rush filing, advance notification is recommended so we can devote 100% of our time to meet your needs. Are you willing to work weekends or after hours? We are prepared to work around your schedule, and are willing to work weekends or after hours for no additional fees. What are the SEC deadlines for filing? EDGAR documents may be submitted to the SEC Monday through Friday from 6:00a.m. to 10:00p.m. Eastern Standard Time. However, all forms submitted after 5:30p.m. will be considered filed on the following day. Does YES EDGAR handle XBRL tagging? No, YES EDGAR sources the XBRL out to P3 XBRL agents, who are fully staffed with CPAs to handle the tags. You can reach them at www.p3xbrl.com, and let them know you are with YES EDGAR for a discounted rate. We accept all major credit cards – Visa, MasterCard and American Express!